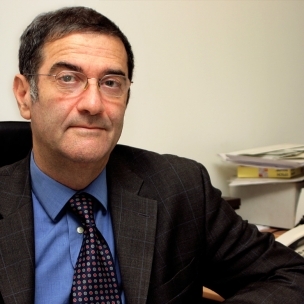 One of this year's Nobel laureates in physics, Serge Haroche, has a few words of wisdom for fostering a good research environment. Our experiments could only have succeeded with the reliable financial support provided by the institutions that govern our laboratory, supplemented by international agencies inside and outside Europe. European mobility programs also opened our laboratory to foreign visitors, bringing expertise and scientific culture to complement our own. During this long adventure in the micro-world, my colleagues and I have retained the freedom to choose our path without having to justify it with the promise of possible applications. Unfortunately, the environment from which I benefited is less likely to be found by young scientists embarking on research now, whether in France or elsewhere in Europe. Scarcity of resources due to the economic crisis, combined with the requirement to find scientific solutions to practical problems of health, energy and the environment, tend to favour short-term, goal-oriented projects over long-term basic research. Scientists have to describe in advance all their research steps, to detail milestones and to account for all changes in direction. This approach, if extended too far, is not only detrimental to curiosity-driven research. It is also counterproductive for applied research, as most practical devices come from breakthroughs in basic research and would never have been developed out of the blue. Haroche’s quip about short-termism being bad even for applied research is especially worth noting, since applied research is supposedly what short-termism seeks to encourage. The point is that the path of science is almost always unexpected and complex, and most applied research is the illegitimate albeit charming and often spectacularly successful offspring of blue-sky basic research. Neglect of this foundation is one major flaw I see with the whole concept of “translational medicine” which seems to lack an accurate appreciation of the haphazard way in which basic scientific principles have actually translated to practical medical therapies. Unless we know the underlying biology of disease, which even now is quite complex for us to grasp, it’s not going to be possible to have scientists sit in a room and think up treatments for Alzheimer’s disease and diabetes. 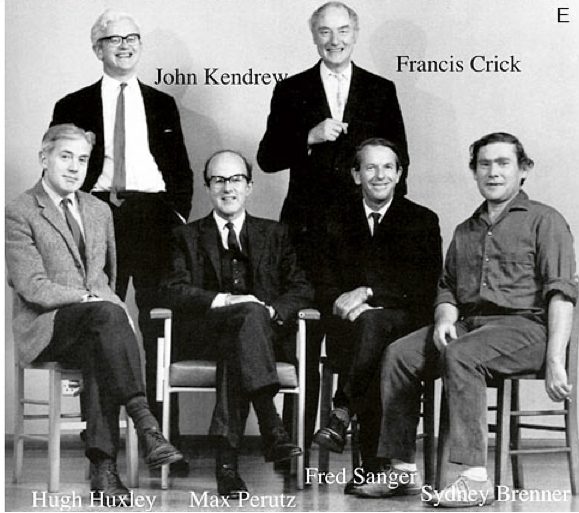 On a related note, an article in Nature explores the phenomenal success of the MRC’s Laboratory of Molecular Biology at Cambridge which has produced 9 Nobel Laureates, the latest one in 2009. The piece also talks about similar successful experiments, for instance at Justus von Liebig’s laboratory in Germany or Ivan Pavlov’s laboratory in Russia and places a significant share of the productivity in successful labs on the shoulders of their leaders. The MRC’s leaders led less and interacted more. Tea was a daily tradition and Nobel Laureates sat at the same table with graduate students and postdocs during lunch. Everyone was encouraged to speak up and no one was afraid to ask what could be perceived as a stupid question; Tom Steitz who was awarded a prize for work on the ribosome remembers a meeting where director Max Perutz asked about the difference between prokaryotes and eukaryotes. The ideal leader directed less vertically and more horizontally. A similar tradition was carried out in many other outstanding institutes producing famous scientists; these included the Institute for Advanced Study at Princeton (where Robert Oppenheimer used to say that “tea is where we explain to each other what we don’t understand”), Niels Bohr’s institute in Copenhagen which nurtured the founders of quantum mechanics and the forerunner of the MRC, Ernest Rutherford and Lawrence Bragg’s Cavendish Laboratories which discovered both the neutron and the structure of DNA. The same principle applied to industrial labs like Bell Labs and IBM; as Jon Gertner’s book on Bell Labs chronicles, Bell’s first director Mervin Kelly gave his scientists the same freedom. This freedom manifested itself even in the physical layout of the buildings which featured movable panels that allowed experimental and theoretical sanctums to connect. And it goes without saying that Kelly and most other successful directors were world class scientists themselves or at least people with a considerable scientific background. Contrast that with much of today’s corporate research enterprise where scientific leaders at the top have been replaced with lawyers and MBAs. It’s also worth noting that these scientific leaders never made the mistake of equating quality with quantity; Rutherford’s lab even had a rule that forbade work after 6 PM except in rare cases. There’s a huge lesson there for professors and departments who insist that their students spend 12 or 14 hour days at the bench. As history has adequately demonstrated, it’s very much possible to work a productive 9 AM – 6 PM workday and still achieve significant results, and I have been told this is the way it still largely works in countries like Germany. The key lies in culture, collaboration and focus, not raw work hours. It’s really not that hard to understand that the best results arise when scientists are supplied with a general overarching plan but are otherwise left free to work out their own details for implementing it. And often the best short-term research is long-term research. A friend of mine tells the story of her father who was working at a well-known government institution in the US. He quit when they started circulating forms that asked the scientists what they thought they would discover next year. “How the hell should I know what I am going to discover next year?”, wrote my friend’s father on the form before he stormed out. Post first published on the Scientific American blog network. I wonder if Institute of Advanced Study is really a good example. You probably know what Richard Feynman said about the Institute. National Institute of Standards and Technology, on the other hand, seems to have been remarkably productive. David Wineland, who shared the Nobel Prize with Serge Haroche this year, works there. That's the fourth Nobel Prize for them since 1997. Yes I do. But there was a period in the 50s when it was probably the best destination in the world for young theoretical physicists at the cutting edge. I think the problem that Feynman was pointing out applies more to the permanent members who are given a mandate to keep on producing original work. It's still a pretty good place if you are in the right field and want to pursue your own ideas. I agree that the NIST has been phenomenal in condensed matter physics. Someone needs to profile them. What a totally outstanding article. It should be posted to every President, Prime minister and CEO looking for 'growth'. Blue sky research involves delegation and trust of those tasked with the money and resources to use the talents they have and can collect to undertake something exceptional. It can be broken down into the stuff of a Gantt chart. Unfortunately delegation and handing over resources with retaining the strings of control are alien to politicians and commercial people for reasons that are understandable from their perspective but contrary to the outcomes of why it is being done in the first place. To put this into perspective 'Unless we know the underlying biology of disease, which even now is quite complex for us to grasp, it’s not going to be possible to have scientists sit in a room and think up treatments for Alzheimer’s disease and diabetes.' Another line that should this time be on the wall of every lab, grant issuing agency and most of all Biotech and Pharma boardroom. If you want to tackle Alzheimers and diabetes start with a truly honest assessment of the challenge. Throwing billions at the failed approach of genetic differences framed in pathway biology is like throwing snowballs blindfold at a fridge in the desert. There is a chance you will hit the fridge but its very low and when measured statistically it is a near certainty your resources will evaporate. We have written repeatedly on the clear reasons why this is the case but the billions snowballs still follow the signposts to the desert. What price biophysics as an example to be able to plot protein interaction in situ and establish protein conformation and the role it plays in protein interaction and systems. Key step change challenges in need of blue sky research but only a tiny fraction of the money spent 'commercial' or translational research in the form of the snowballs. The point of over tea is also well made. In the digital age it demonstrates yet again it is the interface of human beings and the correct environment for this that so often sparks and provokes the exceptional and clears the unsurmountable barrier. Thanks for this article, it has made our day.